This is part fourteen of our multi-part series on why you should apply to be a Gecko for NEWTS Orientation Week 2018. By hearing from the experiences of Geckos from previous years, we hope that you make the decision to apply! To me a gecko is an individual who is a leader, compassionate, a resource… but most importantly a friend! A gecko is typically the first point of contact for incoming NEWTS who often live off campus, and so helping create a comfortable and welcoming environment is important! My favourite part of NEWTS week is the Tamming Ceremony! Having the privilege to stand on stage watching incoming students become a part of the Queen’s community was absolutely spectacular! Why would you recommend being a Gecko to a friend? I would recommend that all students apply to be any orientation leader!! 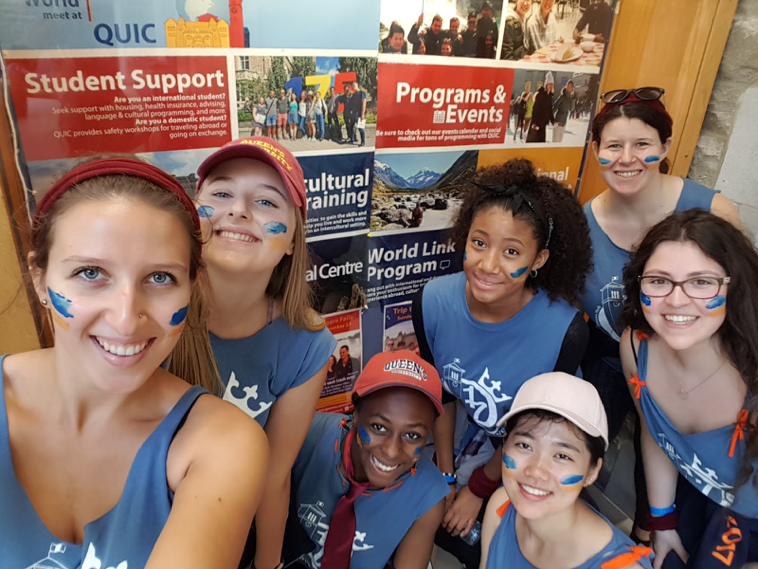 Orientation week is a memorable Queen’s experience that, no matter what faculty or group, can make a tremendous impact on incoming students! Being a gecko allows you to make friends all over the world, which means you just HAVE to go travel to visit them right!? Not personally for me! But I mean I can pick it off if you REALLY want it! This is part thirteen of our multi-part series on why you should apply to be a Gecko for NEWTS Orientation Week 2018. By hearing from the experiences of Geckos from previous years, we hope that you make the decision to apply! It meant having the opportunity to give back. 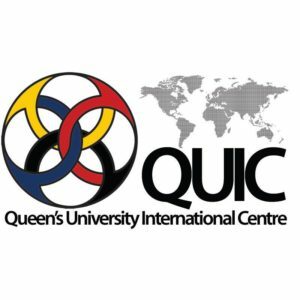 I have been both an exchange student and a transfer student to Queen’s, so I know how hard it is adjusting to a new school (or country!) as an upper year. Being that support system so no one feels forgotten about means everything – trust me! Seeing the impact we had on students, especially international students. Other countries don’t have the orientations that we do and they are thrilled and beyond thankful by the immense amount of effort put in to give them the best experience possible. 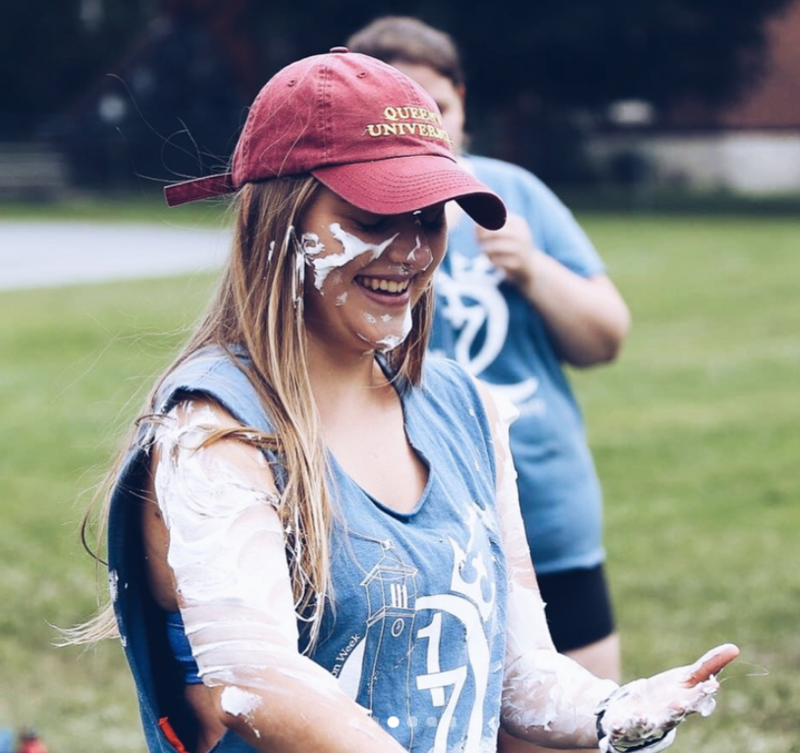 Being a Gecko is your chance to relive the o-week you love and miss, or it’s the opportunity to give someone else the experience you wish you had. 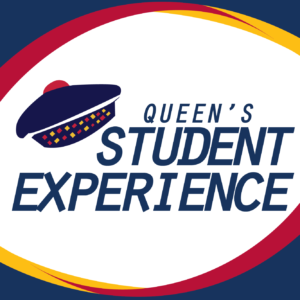 Queen’s is known for our community, now is your chance to make that happen for someone else. Help welcome our incoming students from all schools and all over the world! It will change your perspective on how many ways you can live – life is NOT linear people! “Hoodwinked!” I don’t think I could see this movie enough times. It still makes me feel good and laugh. It is not a pizza without pineapple. This is part twelve of our multi-part series on why you should apply to be a Gecko for NEWTS Orientation Week 2018. By hearing from the experiences of Geckos from previous years, we hope that you make the decision to apply! I made friends from many different corners of the globe and got to experience the excitement of coming to Queen’s all over again. My favourite part of NEWTS week was getting to know my NEWTS on our field trip. During the bus ride we played car games and entertained each other with stories about where we came from. It really allowed us to get closer as a group and build friendships, which still continue to this day. Because you have a chance to support people who might feel lost or scared coming into a new country/school. And you have a chance to make life long friends that you wouldn’t normally meet if not for NEWTS week. This is part eleven of our multi-part series on why you should apply to be a Gecko for NEWTS Orientation Week 2018. By hearing from the experiences of Geckos from previous years, we hope that you make the decision to apply! THE 6IX! Toronto, born and raised! 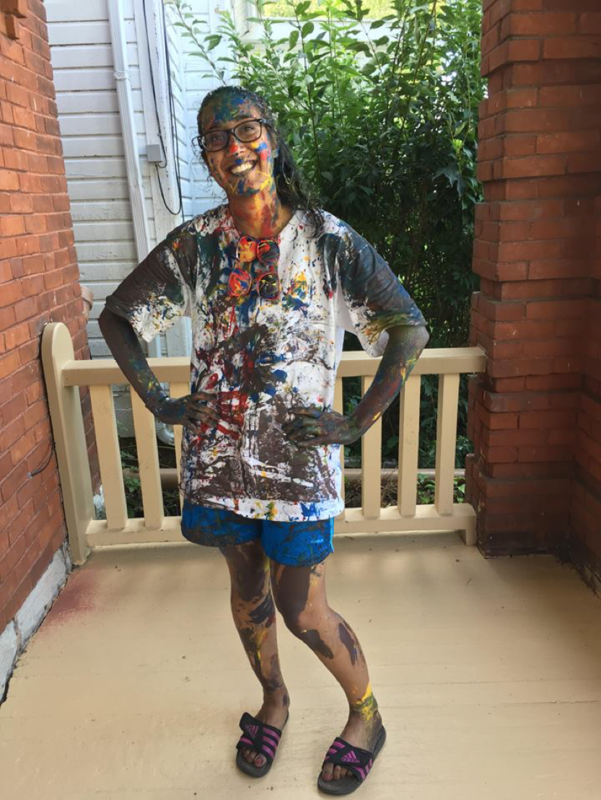 It meant being an automatic friend or a friendly face to incoming students to help them feel more comfortable in a new and different environment that is Queen’s. 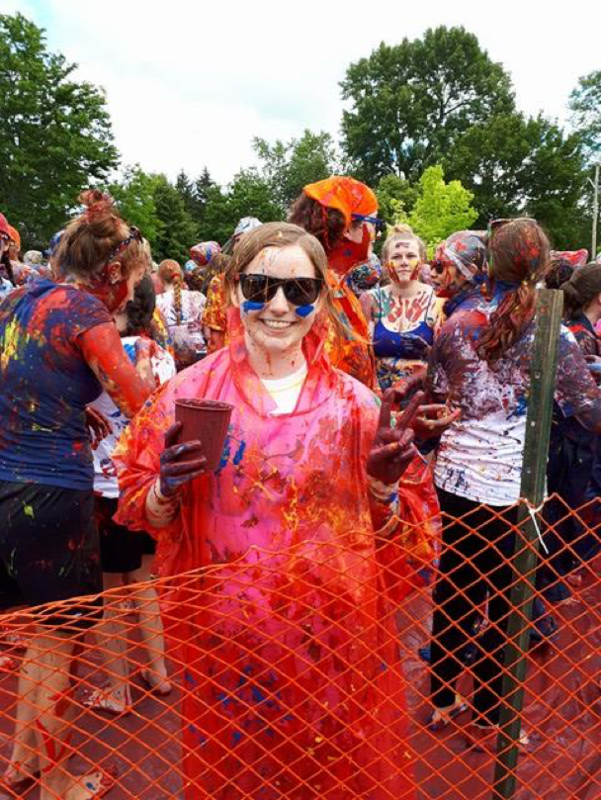 Meeting everyone for the first time and of course (many NEWTS would agree with me on this) THE PAINT PARTY! It was a good way to end of the week! I love romcoms…I know they’re cheesy! I’M NOT OBSESSED OR ANYTHING! But “The Devil Wears Prada” has to be the best movie ever made. Definitely NOT! I just don’t believe in it. It’s just not right. This is part ten of our multi-part series on why you should apply to be a Gecko for NEWTS Orientation Week 2018. By hearing from the experiences of Geckos from previous years, we hope that you make the decision to apply! 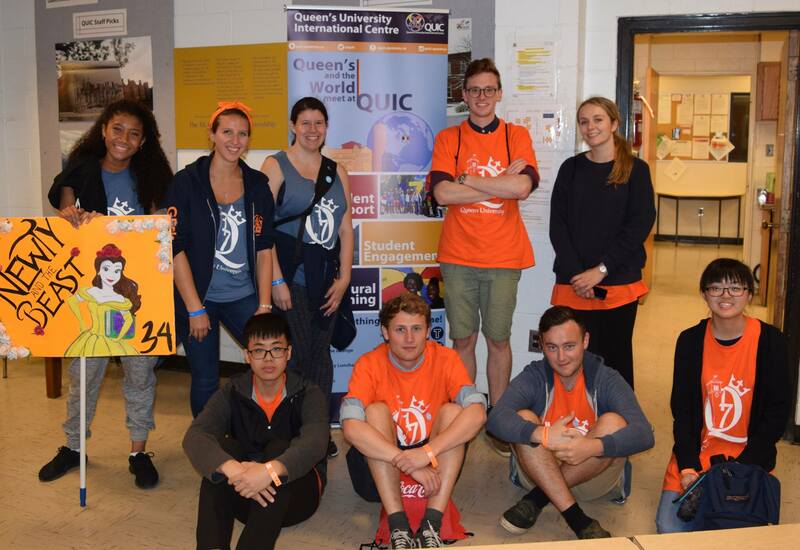 Being a Gecko was really important to me, not only because it allowed me to get involved with Queen’s O-Week, but because it allowed me to give back. I love Queen’s so much, and being able to share that with NEWTS who are so eager and excited was a really amazing experience. 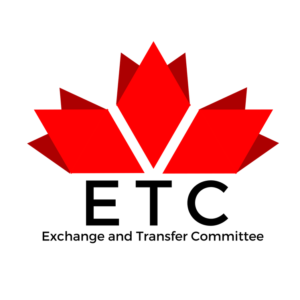 Also I’m going on exchange myself so I really related to their experiences. Paint party, hands down. 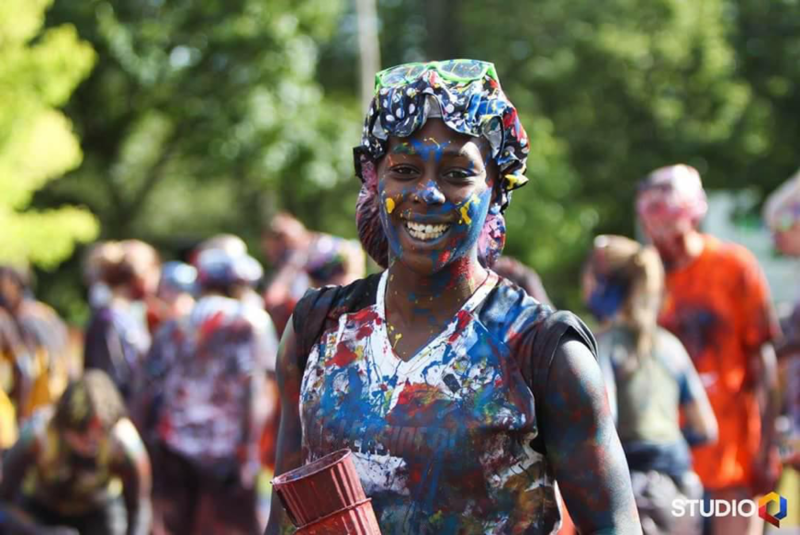 It’s such a unique and wild experience, and it’s fun to see everyone let loose and get messy. Heck ya, it’s so fun and you meet the most amazing people that really become great friends. Super cheesy rom-coms, Love Rosie is a personal fav and makes me cry every time. 10/10 yes, expand your horizons people. This is part nine of our multi-part series on why you should apply to be a Gecko for NEWTS Orientation Week 2018. By hearing from the experiences of Geckos from previous years, we hope that you make the decision to apply! Being a Gecko was probably one of the best choices I’ve made in my time here at Queen’s. Not only was my experience a crazy amount of fun, but it was a really important stepping stone in my life. I really built on my leadership and team working skills and made some really great friends along the way. The Paint Party, no questions asked, was SO MUCH FUN! 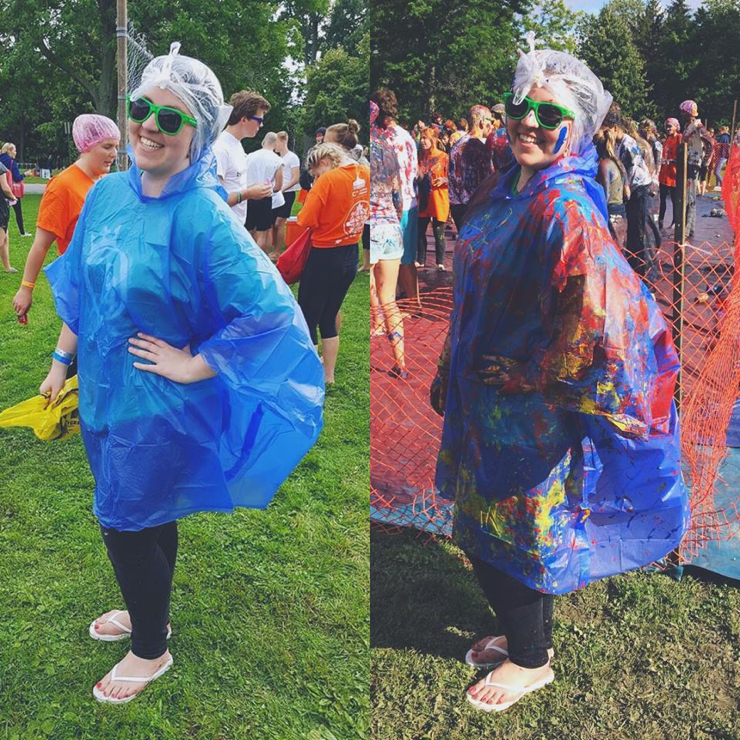 Everyone was smiling so much the whole time and we were all feeding off each other’s excitement as we threw buckets worth of paint at each other. Because I think it’s such a unique experience! No other orientation week (in my opinion) allows you to meet people from such diverse backgrounds. I loved sharing stories with my NEWTS because I feel like I got to travel the world while staying in Kingston! 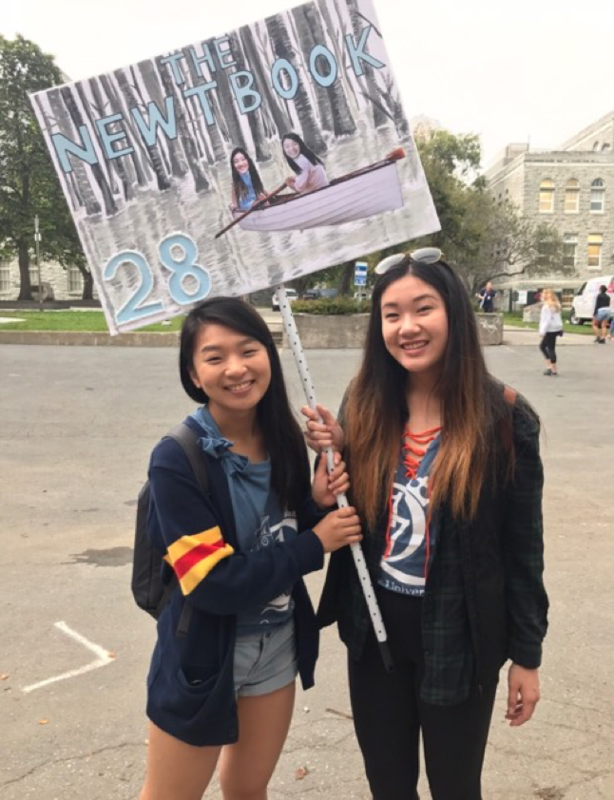 This is part eight of our multi-part series on why you should apply to be a Gecko for NEWTS Orientation Week 2018. By hearing from the experiences of Geckos from previous years, we hope that you make the decision to apply! 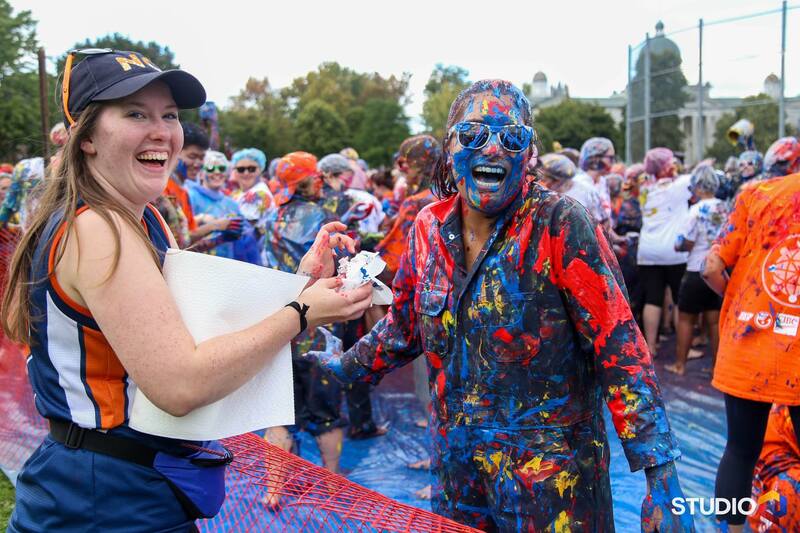 Being a Gecko meant stepping outside of my comfort zone to welcome a unique group of students onto campus. It was a very special experience that was definitely one of the highlights of my time here at Queen’s. 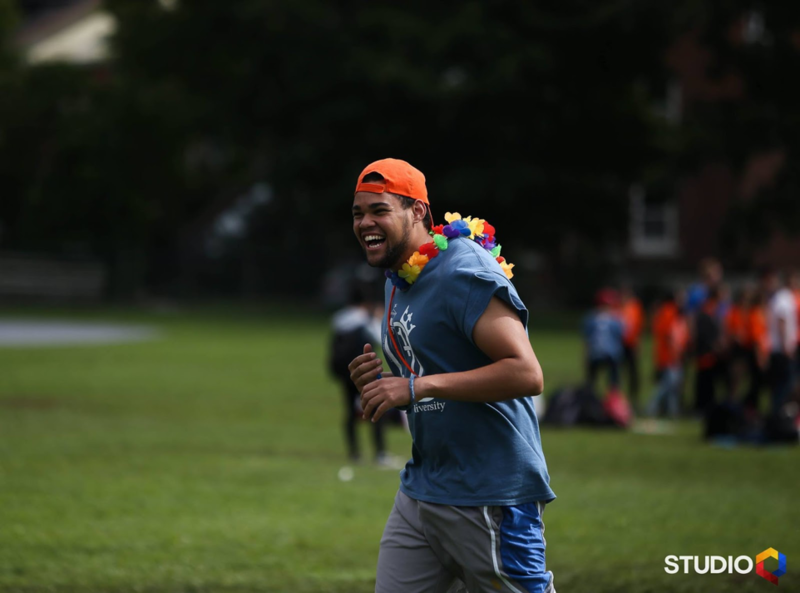 You’re able to build friendships with people from all around the world and a create special bond with your own group whilst taking part in a very different Orientation Week. The International students are great! This is part seven of our multi-part series on why you should apply to be a Gecko for NEWTS Orientation Week 2018. By hearing from the experiences of Geckos from previous years, we hope that you make the decision to apply! Meeting wonderful people and helping them become used to Kingston/Queen’s, and learning a lot about the world and myself. I loved seeing my NEWTS become more comfortable and come out of their shell more. It’s a great way to meet new people and challenge yourself, while having a super fun time! This is part six of our multi-part series on why you should apply to be a Gecko for NEWTS Orientation Week 2018. By hearing from the experiences of Geckos from previous years, we hope that you make the decision to apply! Being a gecko for me was mainly about inclusivity and friendship. It amazes me how in just two weeks I made friendships and memories that are going to last me a lifetime. I think learning the dance was one of my favourite parts because it helped my self-confidence. Dancing has always been something that I am absolutely horrible at, but I loved being able to share the tradition and dance like an idiot in front of hundreds of strangers who were also laughing and just enjoying the moment. Wearing my cow shower cap at paint party is a close second. I would recommend being a gecko to a friend because it really boosts your self confidence. On the first day of gecko training, it was hard for me to open up to people but by the last, I was running up to random strangers yelling, “how do you feel about orientation week! ?” I found that stepping out of my comfort zone has been a great experience for me and I met so many encouraging people who had a positive influence on my life. High School Musical 2. Nothing gets me more excited than singing “What time is it? Summer time! This is part five of our multi-part series on why you should apply to be a Gecko for NEWTS Orientation Week 2018. By hearing from the experiences of Geckos from previous years, we hope that you make the decision to apply! 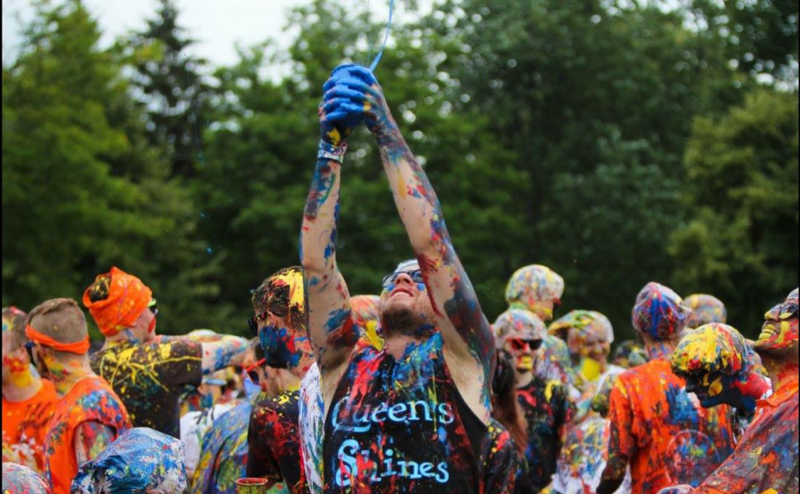 Being part of orientation week is one of the most fun and rewarding experiences I’ve had at Queen’s. 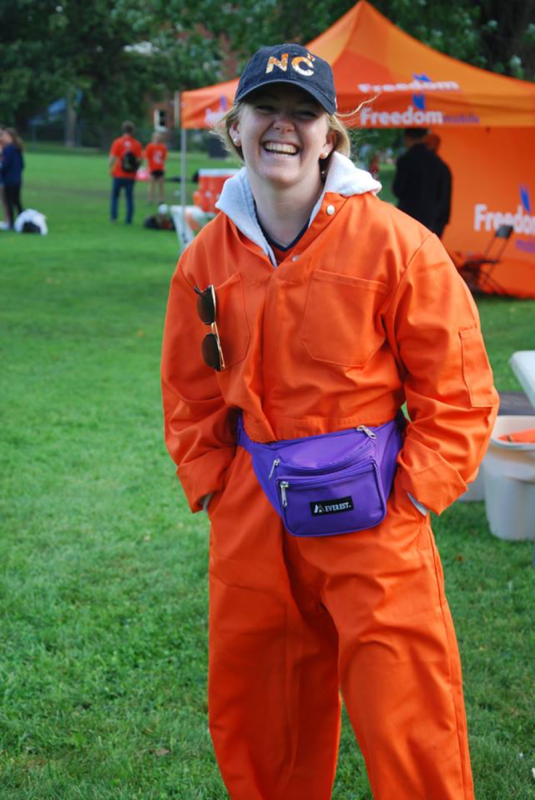 After being a Teach (a Con-Ed orientation leader), I knew I wanted to be part of O-week again and being a Gecko was the perfect way to get involved! The people! Getting to meet so many students from all over the world and learn about their lives and cultures was incredible! Additionally, your NC’s and fellow Gecko’s are some of the coolest people around. Dirty Dancing! (see pun above!) I’ve seen that movie more times than I can count! This is part four of our multi-part series on why you should apply to be a Gecko for NEWTS Orientation Week 2018. By hearing from the experiences of Geckos from previous years, we hope that you make the decision to apply! I chose to become a gecko to help the Queen’s community and be part of something bigger. My favourite part of the week was the Tamming Ceremony. It was amazing to see my NEWTS participate in tradition and sing the Oil Thigh. I would highly recommend becoming a gecko! I met so many new people from different years and places around the world. Definitely, pineapple on pizza, it’s the best topping. This is part three of our multi-part series on why you should apply to be a Gecko for NEWTS Orientation Week 2018. By hearing from the experiences of Geckos from previous years, we hope that you make the decision to apply! 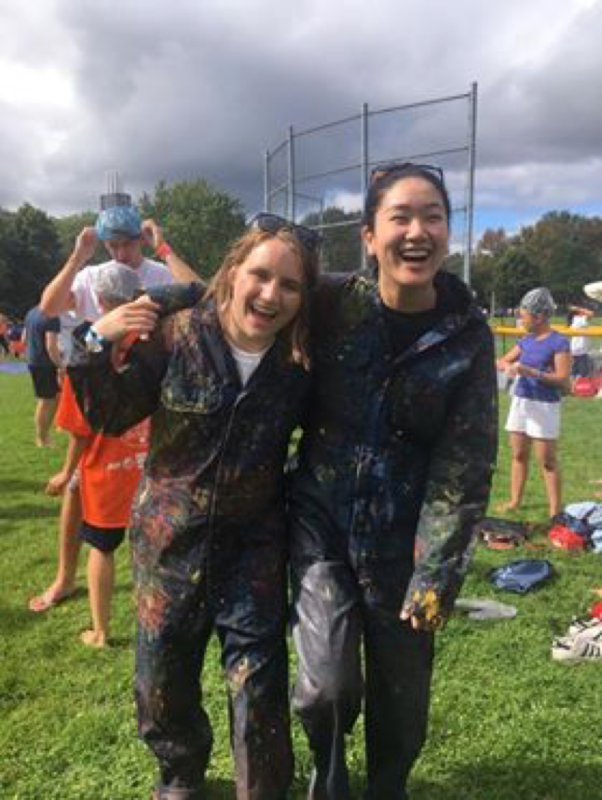 Being a Gecko to me meant being not just a leader and a support system for incoming students at Queen’s, but simply being a friend. My favourite part of NEWTS week had to be the community surrounding the week and being able to develop new friendships with a variety of people from different backgrounds. I would strongly recommend being a Gecko to a friend as it truly was an amazing experience like no other. 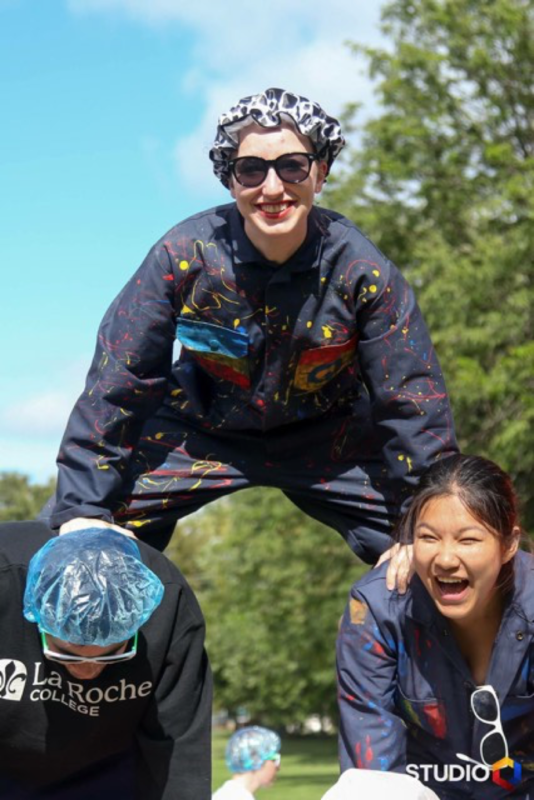 As a Gecko, I was able to take on a leadership position during orientation week, which is one of my favourite times of the year at Queen’s. My top guilty pleasure movie has to be Camp Rock as I may, or may not, know all the lyrics to every song and constantly sing along during the movie. “There’s no way to hold it in”. Please no, don’t give me nightmares. This is part two of our multi-part series on why you should apply to be a Gecko for NEWTS Orientation Week 2018. By hearing from the experiences of Geckos from previous years, we hope that you make the decision to apply! Being a Gecko meant that I could represent Queen’s and the Kingston community to a group of new students unfamiliar with the setting. I loved the bbq the first day. It was a great chance to get to know the NEWTS. 100%. Sign up! You won’t regret it!